We are building the Dung Beetle, a larger-than-life, recycled metal machine that takes up plastic waste, which would normally fill our land-fills and oceans, and converts it into fuel. In this case it is plastic bottles that are being gasified and turned into LPG gas and diesel. Enough fuel is produced to keep the Beetle going once it starts up. 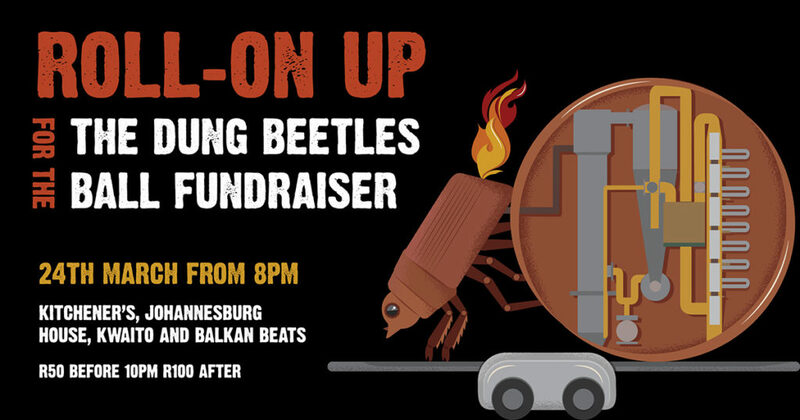 This is a small fun-raiser to introduce you all to the Dung Beetle project. The Dung Beetle will be making its debut at AfrikaBurn 2018. It will use the converted plastic fuel to power its live musical performances – including pyrotechnics! 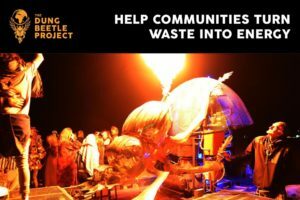 After the Burn, the Beetle will be rolled out into developing communities across Africa, where people can bring their collected plastic waste and have it transformed into usable, clean fuel. This fuel can be used for cooking and powering vehicles, in a more environmentally friendly way than conventional petrol. Our current Beetle will be the blue print for technical drawings that will be available for free to anyone that wants to build one, and will available through the website. We are excited to partner with other groups and organizations that are urgently seeking to recycle and up-cycle plastic waste. House, Kwaito and Balkan beats! This entry was posted in Blog, Fundraising. Bookmark the permalink.